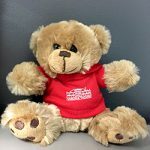 FULL EBERTFEST 2019 FILM SCHEDULE & SPECIAL GUESTS ANNOUNCED! Champaign, IL – The Champaign Urbana Theatre Company will perform the award-winning Broadway musical OKLAHOMA! at the Virginia Theatre in downtown Champaign Thursday through Saturday, August 4 through 6, 2016, at 7:30 P.M., and Sunday, August 7, at 2:00 P.M. Doors open forty-five minutes before show time. Reserved seating tickets ($30.00 Premium, $18.00 Adult, $14.00 Student/Senior 55 and over, $10.00 Children 12 and under) go on sale Friday, May 27, 2016, at 10:00 A.M., at the Virginia Theatre box office, online at www.thevirginia.org, or charge by phone at 217-356-9063. Presented by the Champaign Park District. The Virginia Theatre’s 2016-2017 Season Sponsors are The News-Gazette and WILL Illinois Public Media. The Champaign Urbana Theatre Company is returning to the Virginia Theatre August 4 through 7 to produce and perform OKLAHOMA! — with live musical accompaniment — in their first theatrical engagement at the historic downtown venue since 2009. OKLAHOMA! is directed by Stephen Fiol, with musical direction by Aaron Kaplan. Produced by Todd Salen. OKLAHOMA! is the first stage musical written by the creative team of composer Richard Rodgers and librettist Oscar Hammerstein II. Based on Lynn Riggs’ 1931 play, Green Grow the Lilacs, the original 1943 Broadway production of OKLAHOMA! was an unprecedented critical and popular success. Set in 1906 Oklahoma Territory, it tells the story of cowboy Curly McLain and his romance with farm girl Laurey Williams and features musical numbers – including “Oh, What a Beautiful Mornin”, “The Surrey with the Fringe on Top”, and “Oklahoma!” – that became standards in the Great American Songbook. The first of Rodgers & Hammerstein’s many successful collaborations (which include Carousel, South Pacific, The King and I, and The Sound of Music), OKLAHOMA! remains one of their most innovative shows, epitomizing the “book musical” — a musical play where songs and dance numbers are fully integrated into a dramatic story. Its original production was an instant box-office smash and ran for a record-setting 2,212 performances, later enjoying award-winning revivals, national tours, and countless foreign productions. In 1955, OKLAHOMA! was adapted into an Academy Award-winning 70 mm film starring Gordon MacRae and Shirley Jones. Rodgers and Hammerstein won a special Pulitzer Prize for OKLAHOMA!, in 1944. Auditions for OKLAHOMA! will be held June 11 and 12, 2016 — beginning at 12:00 P.M., at the Champaign Urbana Theatre Company Rehearsal Center, 117 E. University, Champaign. To register for an audition, visit www.cutc.org. The Champaign Urbana Theatre Company (CUTC) was formed in 1991 with the mission of community theatre for the community by the community. After more than twenty years and eighty shows, this vision is alive and well in the group’s commitment to provide entertainment, education, and opportunities for involvement in all aspects of the theatrical arts. An established stage director, performer, and educator of opera and musical theatre for 40 years, Mr. Fiol has served as Millikin University’s Director of Opera, Director of the School of Music, Dean of the College of Fine Arts, Vice President of Academic Affairs, and founding Director of the Center for International Education. In addition to directing 75 operas and musicals during his time at Millikin, Stephen Fiol has directed stage performances throughout the Midwest at universities, regional opera companies, and during five seasons at The Interlochen Center for the Arts. Since 2000, he has directed eleven productions for the UIUC Opera Program at the Krannert Center for the Performing Arts, Urbana. 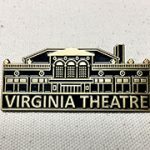 The Virginia Theatre first opened its doors to the public on December 28, 1921, and since that time has been a vaudeville house, movie palace, concert hall, and home to local and traveling theatre companies, musicians, comedians, dancers, and other performing artists. The Champaign Park District took ownership of the facility in 2000, completing an 8.5 million dollar renovation in 2013. For more, visit www.cutc.org or www.thevirginia.org. The Virginia Theatre is an historic performing arts center and movie palace located in Champaign, Illinois. Owned and operated by the Champaign Park District, the Virginia has been providing entertainment to the community since 1921. Help us maintain the Virginia Theatre, our wonderful parks, and facilities. © 2019 Virginia Theatre. All Rights Reserved. | Site maintained by ThirdSide, Inc.